Ah, the great outdoors! Sunshine, flowers, a gentle breeze… there's really nothing better than being outside sometimes. But for those of us who like our creature comforts, the great outdoors can sometimes be a little, shall we say, lacking. For us, the outdoors is almost perfect, but that it lacks soft cushions or a comfy seat back to relax against. If you count yourself amongst our number, then it's time to get yourself some outdoor furniture – we're not talking spindly deckchairs here; rather, we're talking about cushions, swings, outdoor sofas – everything and anything that will make your enjoyment of the outside just that little bit more comfortable. So comfortable, in fact, that you might just find yourself dozing off while a soft breeze plays across your face. Just don't forget the sunscreen! We start with this picture of luxurious comfort from the Garden Furniture Centre. Called the Peach bed, it certainly is peachy! Soft cushioning on the base will have you reclining in total comfort, while curtains offer the option of privacy – or just a little shade from the sun. 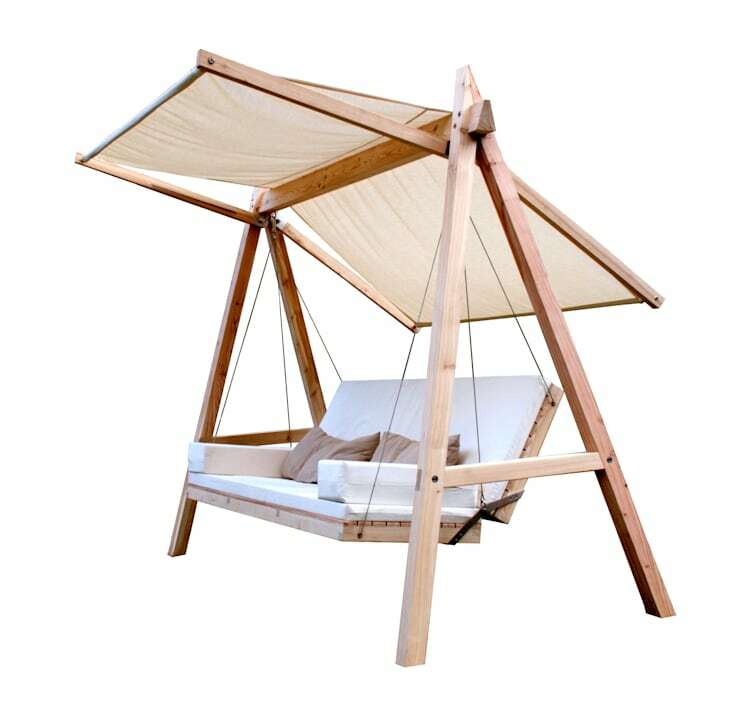 The outer shell is made from rattan, a classic material for garden furniture, and pleasingly rustic. A drawer will hold books, magazines, a laptop, your sunscreen, and everything else you need for a lazy day in the garden. Needless to say, it looks like the perfect spot for an evening nap. What is it about swings that relaxes us so? Is it a memory of childhood, or do they take us even further back – to being rocked gently in our mother's womb? 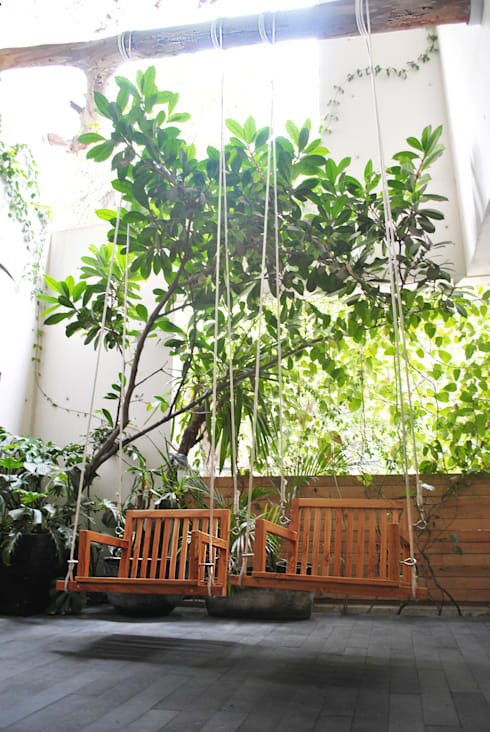 Whatever it is, there's no question but that swing chairs make for a restful and tranquil place to sit. These simple wooden chairs come with extra long rope for hanging, and are made by interior design and furnishing specialists MOB. 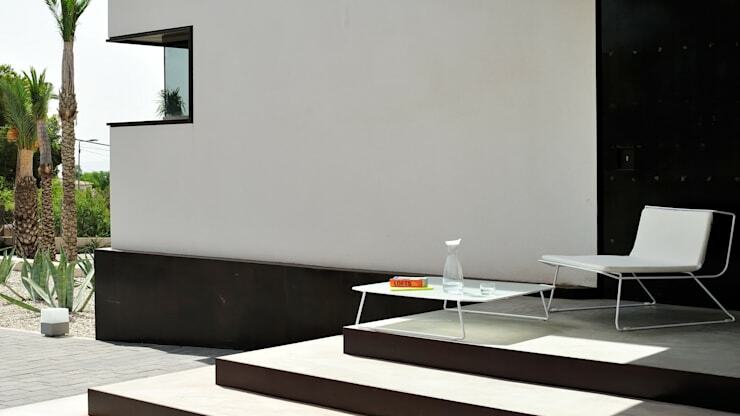 Vibrant colour, made from modern acrylic, and in a striking design: the perfect place to rest in a sophisticated garden. It's waterproof, and will float, so if you're lucky enough to own a pool you can do your reclining there. The ergonomic wave shaped design will ensure maximum comfort. Comfortable and chic: what more could you ask for? More swings, but cushioned this time – oh heaven! 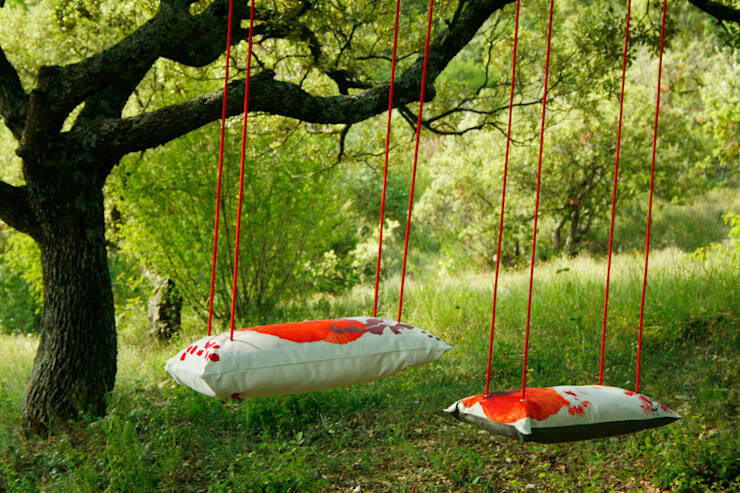 These delightful swing seats from KSL living would work as perfectly indoors as they do outdoors. The splashy poppy design is eye-catching and colourful, as are the matching red ropes. Hang these in your garden and you might not even need to worry about planting flowers; they'll add all the colour you need! As a kid on the local playground swings you could never have imagined something quite so delightful. The classic, the Hollywood swing chair from Pool22.Design. Perfect for sun protection or enjoying a serene afternoon in the garden. Imagining that you're Martin Scorcese sipping a cocktail by the pool in the Beverly Hilton is entirely optional. Made from wood and textile, the handles, nuts, bolts and ropes are all made from stainless steel, making this seat very durable and stable. Perfect for couples to hang out and chat about their days; or for one alone, to lie back with a good book and something cool and refreshing to sip on. Our final seat might be rather slimmer and more stripped down than the rest, but it's too elegant and stylish not to include. And the cushioned seat does look very comfortable. Simple, minimal, and modern; it's the kind of seat you could imagine Audrey Hepburn enjoying the evening sun from. Get yourself a pair of huge Hepburn-esque sunglasses and watch the sun slowly move across the sky while you sit back and relax. 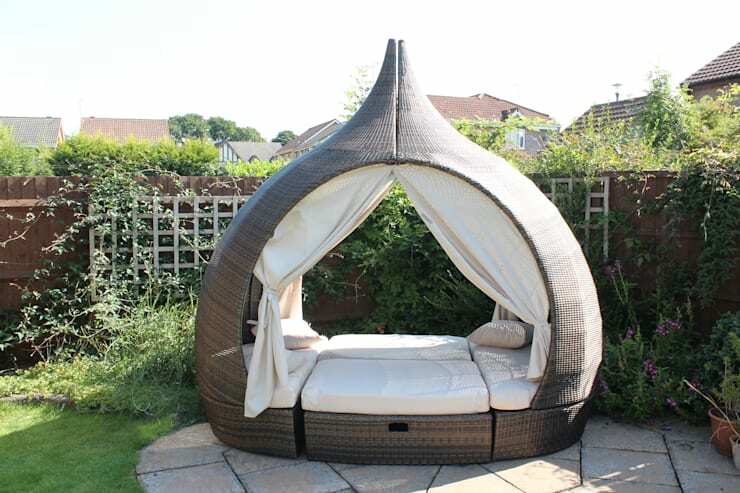 Seen any other comfy outdoor furniture here on homify? Let us know in the comments!